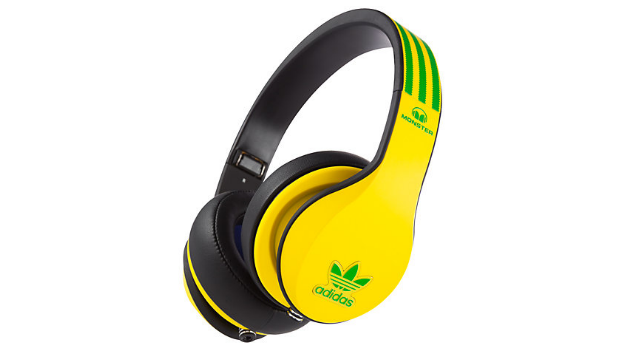 Headphone manufacturer Monster is celebrating Brazil 2014 with some limited-edition colours of its Adidas 'cans. The World Cup is well underway and if, like us, you've been glued to the games then you might just want a spanking new pair of headphones to show off your love of the beautiful game. Most of these are not available for the public to buy, as they were designed and built especially for the teams. But Monster has struck a UK-exclusive deal with John Lewis to offer us three international colourways: Brazil, England and France. Two of those teams, ahem, are still in the tournament. The headphones themselves are the result of a collaboration between Monster and Adidas Originals, fusing audio performance with street cred. Their words, not ours. The World Cup versions will still be on sale after the end of the tournament, although they are limited edition as only 2,000 of each colour have been produced. At least there's no extra cost though. The World Cup versions retail for the same £219.95 price as the standard colours.